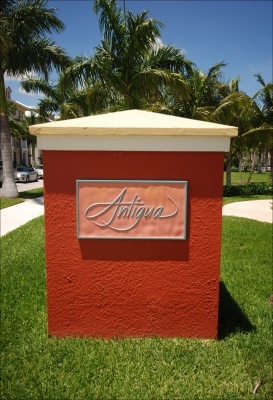 Antigua, located within Abacoa in Jupiter, is a lovely townhome community comprised of two- and three-story residences. There are a total of 80 commercial townhomes and 200 two- and three-story residential townhomes. Many are live-and-work units, allowing residents to work out of the comfort of their home. Antigua is located close to everything, including tennis courts, restaurants, a skate park, and more.